If it weren’t for the Presidential Election, the Bridgegate trial would be front page news around America. Even my fellow Garden Staters are not giving it the attention it deserves. Gov. Christie’s approval rating sits at 21%, an all time low for him. 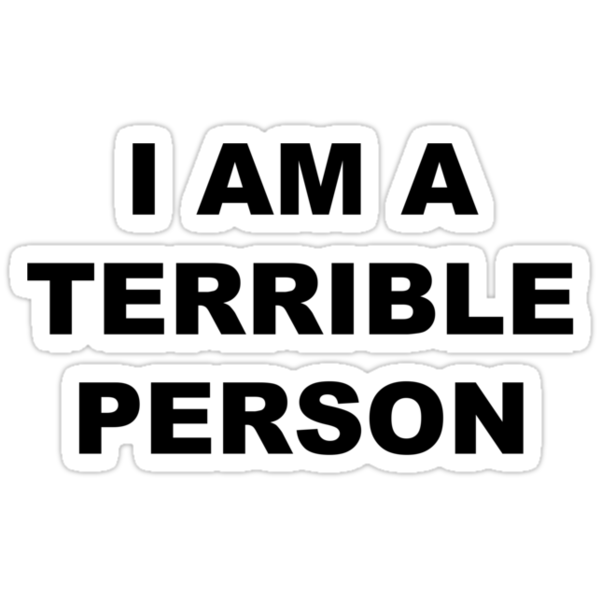 The ledger of Governor Christie’s disappointments, failures and scandals started long before Bridgegate – long before he became Governor in fact, and I’ve compiled a list of my choices for his worst moments below. 1) Christie falsely stated that his opponent was being investigated by the Morris County prosecutor’s office during his first campaign for Morris County Freeholder in 1994. Two years after he won the race, he was ordered by the court to apologize for the lies he told. His opponents won a defamation suit against him (the amount of money that Christie paid out was never disclosed). To learn more, click here. 2) Christie raised $350,000 for Bush in 2000 and was named the US Attorney for NJ as his reward. This was despite the fact the Christie had no experience as a prosecutor. Over the next several years, Christie made a name for himself going after corrupt Democrats (and some Republicans). But he went after corrupt politicians that were weak, while giving strong ones that might help him later a pass. To read more about it, click here. 3) Todd Christie, the Governor’s brother, was part of a trading firm that was accused of taking advantage of its own clients. Many of the traders were indicted, but Todd Christie was not. He settled with the SEC in 2008. There has been a great amount of speculation that Chris Christie made a deal to spare his brother. This was one of the major reasons that the Romney campaign decided to pass on Christie for VP in 2012. To learn more about Todd Christie, his financial problems, and his brother’s help, click here. 4) NJ has had budgetary problems long before Governor Christie took office (NJ is required by law to have a balanced budget, but lots of programs are underfunded) and state aid to counties and municipalities has been cut under his leadership. This has led to a series of budget crises on the local level. Governor Christie has spoken about the need to examine the contracts, benefits and pensions of public employees (teachers, cops, firemen and other state workers). While there is no doubt that difficult conversations need to take place with a responsible eye towards revenues and expenses, Governor Christie has often insulted and demonized public workers. He is not the first politician to do this, but that is not an excuse. Gov. Christie’s harshest words are for the public workers’ unions, and while it is easy to find things to criticize within those organizations, it damages the negotiations regarding salaries, benefits and pensions. And it contributes to a negative and nasty climate. Click here for Christie on the teachers’ unions and here for Christie on a police union. 5) Governor Christie has used bullying language, put downs and wishes for violence when he talks about other politicians, opponents and even a veteran. Christie asked the media to “take the bat out” on Loretta Weinberg, a 76 year old Democratic legislator. He called a veteran an “idiot” at a town hall meeting. Last year, NJ.com created a section on the site that has an extensive list of Christie insults. 6) Senator Frank Lautenberg died on June 3, 2013. Cory Booker decided to run to replace the departed Senator that fall. Gov. Christie held a special election a mere 20 days before the regular November 5th general election. It cost the state $24 million dollars. Governor Christie said the reason why he approved the special election was that he did not want to deprive the people of NJ a duly elected representative. Others claimed that despite vetoing other programs and elections based on costs, Christie wanted to keep Booker off of the Nov. 5 ballot in order to increase the margins of his anticipated Gubernatorial reelection. To read more about this, click here. 7) When he was a teenager, Chris Christie knocked on future Governor Tom Kean’s door in the 1970s and found a political mentor and friend that lasted until 2013. Their relationship soured when Gov. Christie attempted to unseat Tom Kean Jr. as the the State Senate Minority Leader by replacing him with someone who would rubber stamp all of his proposals. The move failed and Kean Jr. stayed in power. Gov. Kean viewed it as a huge betrayal. It’s a clear example of both the opportunism and lack of loyalty that make up Gov. Christie’s character. To learn more, click here. 8) The NJ State Ethics Commission is supposed to be a non-partisan, independent office that examines the actions of elected and appointed public officials to ensure integrity at all levels of NJ government. The last two executive directors were Christie appointees, which while not illegal, went against the nature of the commission (who typically appoint their own commissioner). His appointees were both people that were friendly to his office. This reeked of impropriety. One must read the lengthy article about this issue at NJ Spotlight.com. 9) NJ’s credit rating has been downgraded 9 times under Gov. Christie. Job growth in NJ has been much slower than other states in the region since the Great Recession. 10) ExxonMobil caused a great deal of environmental damage in NJ. The company was found liable at the end of the decade long trial. In February of 2015, Governor Christie announced a settlement of $225 million. NJ’s attorneys had been seeking $8.9 billion, and while they may not have won that award, one is hard pressed to find someone who thought the $225 million settlement made sense (it was 3 cents on the dollar). ExxonMobil did donate $50,000 to the super PAC that was supporting Gov. Christie’s presidential bid. It will be interesting to see if Christie or any of his family members get a job with ExxonMobil after he leaves office. 11) In 2010, Bennett Barlyn, Hunterdon County’s Assistant Prosecutor, brought a 43-count indictment against then Sherrif Deborah Trout, Undersheriff Michael Russo, and investigator John Falat. They were charged with official misconduct and falsifying documents. They were Christie people. Paula Dow, the Attorney General at the time, threw the indictment out. Barlyn complained to his superiors that it seemed politically motivated. Barylyn was fired. He filed a wrongful termination suit. After several years, he won. He was awarded $1.5 million. Christie didn’t pay for it. The NJ taxpayers did. Under terms of the settlement, details of the case can’t be released and Barlyn is not allowed to discuss it. In a vacuum, this is disturbing. When discussed as part of the overall portrait of Governor Christie, one must wonder at how many other times his office squashed cases against his allies and unfairly pursued those that defied or opposed him. 12) State officials and reporters have asked “why did NJ miss out on $300 million of Hurricane Sandy relief aid?” the last few years. In 2014, the Star Ledger reported that Christie used $6 million of Hurricane Sandy recovery dollars to build a senior center in Belleville, NJ. The problem is that Bellville did not suffer much damage due to the hurricane. Meanwhile, other towns that were devastated did not get the funds they were supposed to. The Federal Government has been investigating Gov. Christie since 2013 about a potential misuse of the relief funds NJ received. 13) He has been a major disappointment in the area of drug prevention, treatment and recovery services. He delayed the NJ Heroin and Opiate Task Force Report for almost 2 years, has not supported the NJ Recovery High School, did not immediately come out in favor of Senator Vitale’s 21 bills in the fall of 2014, did little as other states passed meaningful legislation in 2016, advocated giving marijuana to veterans with PTSD despite a lack of evidence that it helps, and failed to work on a number of suggestions while he spent two years campaigning for President. 14) His subordinates have been accused of shutting down the George Washington Bridge in September of 2013 because the Mayor of Fort Lee would not endorse him for Governor. David Simon brilliantly wrote about it when the story broke. Christie is not on trial (for now), but a number of his former subordinates are. Christie has denied knowing about this, and is letting them twist in the wind (again, the issue of loyalty surfaces). David Wildstein, a high school classmate of Christie’s whom he has since disavowed, said that he had a “one constituent rule,” which meant that his only job at the Port Authority was to make Gov. Christie happy. Christie’s people used the Port Authority as a political slush fund to reward those that supported him. The trial has been going on for over a month, and every day some new revelation emerges about impropriety and potential misconduct. This list is incomplete. I’m sure people can think of a lot more examples of Gov. Christie’s disappointments, failures and scandals. As time goes on, more and more will be revealed. A friend of mine said that Gov. Christie and the Bridgewate trial is our generation’s Nixon and Watergate. I disagree. Despite some of his obvious character flaws, President Nixon opened the door to China, signed the Clean Air and Water Acts, and actually did a few good things when it came to drug policy. Gov. Christie can not point to similar achievements. I’m posting this press release from the Rutgers Center of Alcohol Studies. Please share. To get a copy to distribute, click here. PISCATAWAY, NJ (October 13, 2016): The Rutgers Center of Alcohol Studies (CAS) announced today that it has created a free training program to improve community policing efforts related to heroin and other substances of abuse. This community-based recidivism prevention project is being made possible through the generous support of the Smithers Prevention Endowment. The trainings will cover new strategies for engaging and helping individuals under the influence of alcohol and drugs, identifying those with substance use disorders who are in need of immediate treatment, de-stigmatizing substance misuse by understanding how the brain becomes hijacked by drugs and alcohol, and intervening to help move a person towards treatment. 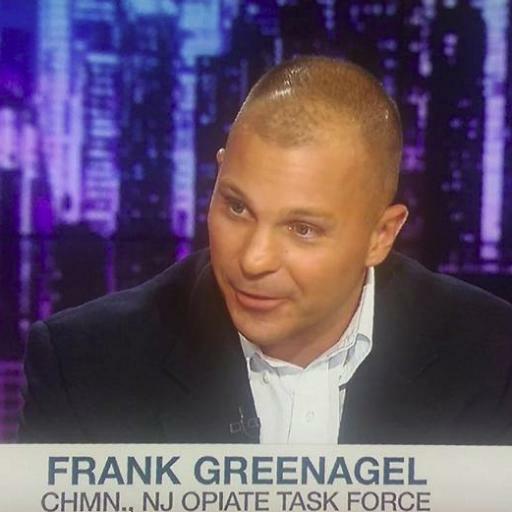 The training will be delivered at police stations in New Jersey, New York and Pennsylvania by Frank L. Greenagel Jr.
Frank Greenagel, a clinical social worker licensed in 3 states, specializes in addiction and treatment. He provides lectures and trainings at Rutgers and throughout the tristate area to increase awareness of the heroin epidemic and provide concrete strategies to end it. In 2012, he served as the Chairman of the NJ Heroin & Other Opiates Task Force. 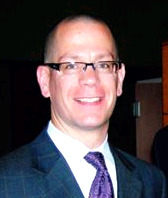 He serves on the Board of Directors for Hazelden-Betty Ford in NYC and the NJ Governor’s Council on Alcohol & Drug Abuse (GCADA). Mr. Greenagel has a long history of working with law enforcement officers and soldiers, particularly related to PTSD and substance use issues. The Rutgers Center of Alcohol Studies is a leader in the field of addiction research and education. Its mission is to increase understanding of alcohol and drug actions, reduce stigma, and improve the lives of people affected by substance misuse. The Center has trained generations of psychologists, social workers and other mental professionals in addiction prevention and treatment. Its Summer School of Addiction Studies celebrates its 75th anniversary next year. Law enforcement agencies interested in this program should contact the Rutgers Center of Alcohol Studies at 848-445-4317 or cas_ed@rutgers.edu. On Thursday, October 13, 2016, the NJ State Senate Health Committee will hold their monthly hearings on a number of bills. S-2419 would require medical professionals to receive 1 hour of training on Opioid Prescribing every 2 year cycle. I have submitted a brief to the State Senate on this issue. You can download the pdf version here. These courses should neither be designed nor funded nor provided by the pharmaceutical industry. Allowing Big Pharma to be involved in these CME courses in any way could potentially poison the purpose of this bill. Legal written language should be put in place to ensure that does not happen. Big Pharma not only gives money to individuals and businesses, but also to a number of professional organizations. One can justifiably argue that that the pharmaceutical industry benefits from the ignorance of prescribing doctors. Doctors and their professional organizations make claims that mandated CMEs are burdensome, that regulation can hurt their practice, and that government should not get involved in the regulation of medicine. They are using these assertions to hide the real reason for their opposition: Big Pharma gives them money and legislation like this threatens Big Pharma’s profits. This bill is not burdensome. It is about consumer and patient protection, which is a key role in the purpose of government. NJ does not have burdensome CME requirements, and lags behind many other states in mandating training specific to this issue. The full piece is below. From 1999 to 2008, overdose death rates, sales and substance use disordertreatment admissions related to prescription pain relievers increased in parallel. 94% of respondents in a 2014 survey of people in treatment for opioid addiction said they chose to use heroin because prescription opioids were “far more expensive and harder to obtain. Education is a critical component of any effort to curb the abuse of prescription medications and must target every segment of society, including doctors. NIDA is advancing addiction awareness, prevention, and treatment in primary care practices, including the diagnosis of prescription drug abuse, having established four Centers of Excellence for Physician Information. Intended to serve as national models, these Centers target physicians-in-training, including medical students and resident physicians in primary care specialties (e.g., internal medicine, family practice, and pediatrics). NIDA has also developed, in partnership with the Office of National Drug Control Policy (ONDCP), two online continuing medical education courses on safe prescribing for pain and managing patients who abuse prescription opioids. To date, these courses have been completed over 80,000 times. Continuing education for medical providers is one way we might be able to improve opioid prescription practices, and in turn, reduce misuse and overdose deaths. By making sure that everyone who prescribes an opioid – doctors, dentists, nurse practitioners, physician assistants, and so on – has the training to decide when opioid medications should and shouldn’t be used, prescribers might be able to limit these drugs to only those patients who will therapeutically benefit from them, and avoid prescribing them when other pain management options might be more effective. It’s not just about finding the right drug and dose – it’s also about considering alternatives, dispensing just the right number of pills at a time, avoiding side effects, recognizing misuse, and so on. Although continuing education is not a replacement for foundational education – like at medical or nursing school – it might help prescribers stay up-to-date with the latest guidelines and best practices, as well as the needs of their communities. I am certain that neither Dr. Volkow nor Dr. Beswick-Escanalar would agree that 3 hours that I have suggested are sufficient to address these issues, but we must set a minimum limit. You will hear (or read) testimony from doctors and professional groups that will argue against any bill that mandates CMEs about opioid prescribing, pain management or substance abuse. In 2014, the pharmaceutical and medical device industry paid out $6.49 billion to doctors. While some of that money was for research, some of it was also given out to encourage doctors to prescribe the drugs the pharmaceutical industry produces. A variety of recent studies have shown that doctors are more likely to prescribe a medication if they get a free lunch from the pharmaceutical company. Big Pharma not only gives money to individuals and businesses, but also to a number of professional organizations. One can justifiably argue that that the pharmaceutical industry benefits from the ignorance of prescribing doctors. The American Medical Association (AMA) has opposed mandating CMEs for opiates. That organization has been behind on this epidemic since the beginning (at various times, the AMA has fought against PMPs, 7 day only first-time opiate prescriptions, mandated patient warnings regarding opiates, and requiring medical students take a course about substance abuse). The American Academy of Family Physicians (AAFP) also opposes mandating CMEs. Both organizations argue that mandatory training causes a burden for doctors. Doctors have to take CMEs, and many states have 0 or only 1 mandated topic. NJ has 1 to 2 mandated courses (at most, NJ doctors are forced to take 8 hours of specific coursework every 2 years – the other 92 hours are up to them). Some doctors and their professional organizations complain that they fear litigation from patients who feel they have received inadequate treatment for their pain. They also cite that some insurance companies tie their reimbursement to patient satisfaction. In short, they are arguing that not prescribing opioids or suggesting alternatives will damage their practice. 3. It is difficult to understand how these are arguments against CMEs about prescribing opioids. In fact, they are compelling arguments for this exact type of course. Those aforementioned doctors may benefit from learning how to talk to their patients about pain and the different kinds of alternatives to medication. Doctors and their professional organizations make claims that mandated CMEs are burdensome, that regulation can hurt their practice, and that government should not get involved in the regulation of medicine. They are using these assertions to hide the real reason for their opposition: Big Pharma gives them money and legislation like this threatens Big Pharma’s profits. Big Pharma is also paying close attention to legislation such as this current bill. From 2006 to 2015, the pharmaceutical industry has “donated more than $880 million nationwide on lobbying and campaign contributions.” Only 34% of US States require a course in either addiction, pain management, or opioid prescribing (NJ currently requires none of these). Those donations are used to fight legislation like this from passing, or to ensure that legislation that does pass is weak (like a 1 hour course mandate on opioids). This bill is not burdensome. It is about consumer and patient protection, which is a key role in the purpose of government. NJ does not have burdensome CME requirements, and lags behind many other states in mandating training specific to this issue. The number of CME hours per two year cycle varies from state to state. Arkansas requires only 20, while Washington State mandates 200. NJ makes doctor complete 100 CME hours every two years. Of those 100 hours, doctors have a great amount of leeway. NJ medical professionals are required to get 2 hours on end of life care each cycle. Those licensed prior to 2005 must also get 6 hours of cultural competence every two years. NJ does not currently mandate CMEs regarding chronic pain, opioid prescribing, controlled substances or substance abuse. As of October 1, 2016, 17 other states mandate CMEs in at least one of those areas.